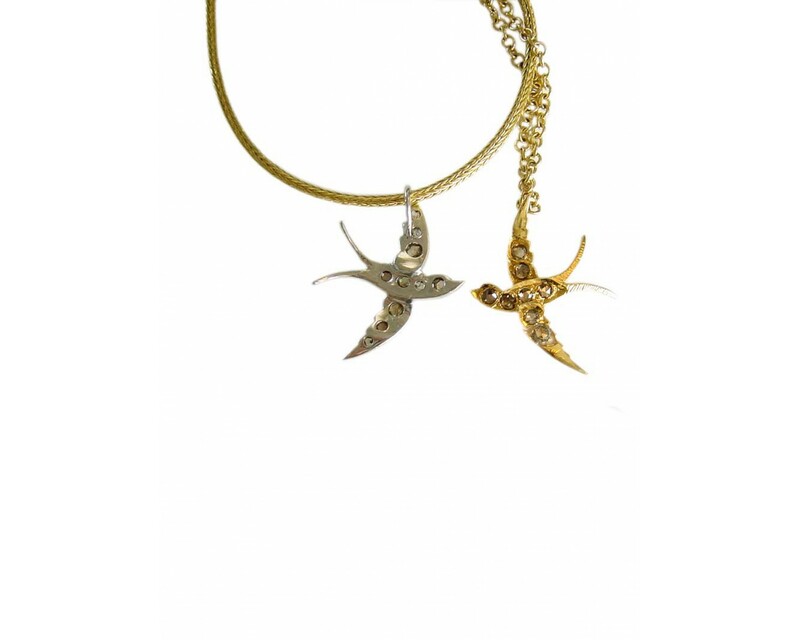 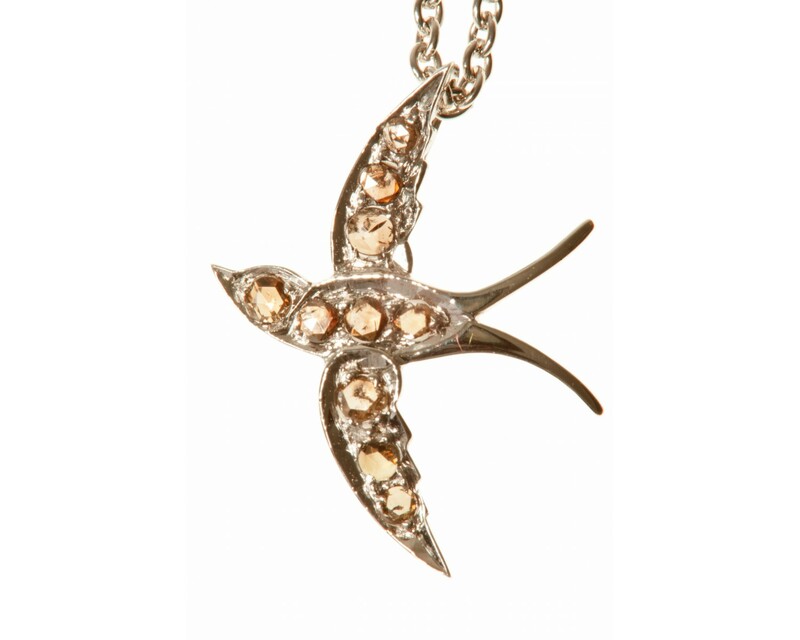 Swallow pendant with 10 cognac coloured rose cut diamonds set in 18ct white Gold. 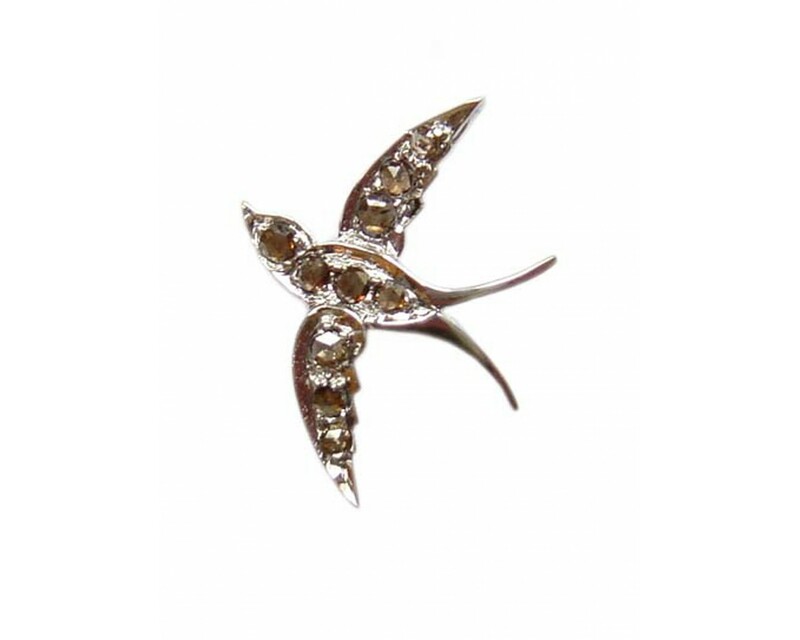 Swallow charm with cognac coloured rose cut diamonds set in 18ct white gold. 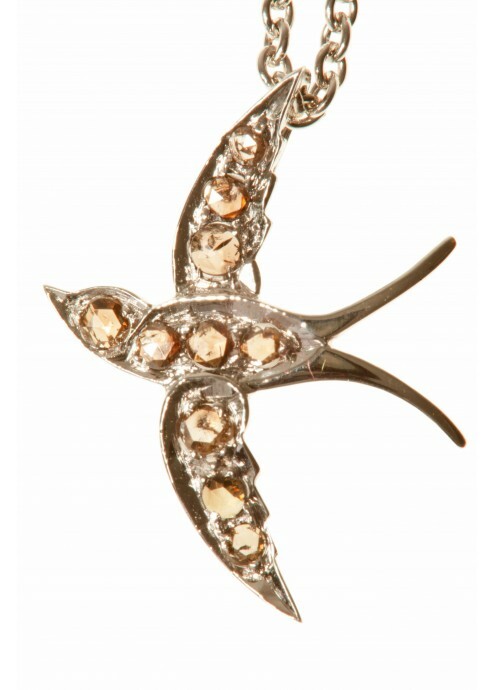 So charming and simply gorgeous. 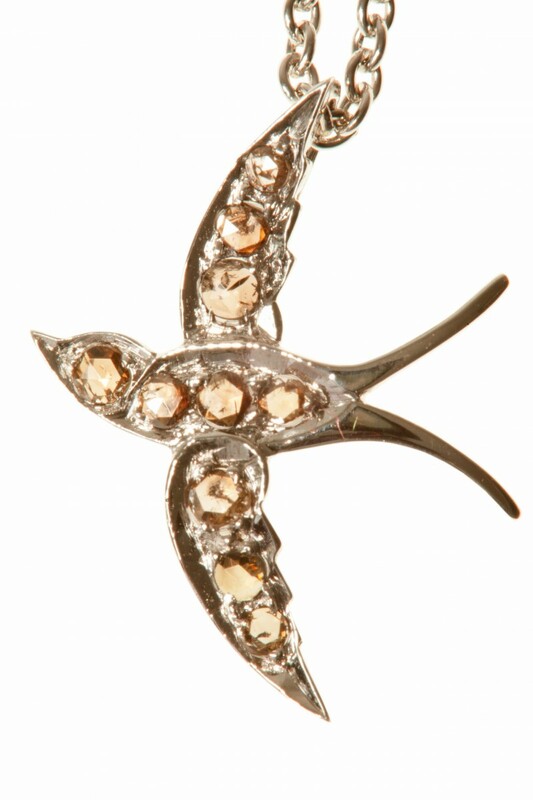 An eternal symbol of peace and love.